Take The Woodlands Express To/From The Rodeo! Residents and visitors of The Woodlands and surrounding areas now have an easy and convenient way to enjoy the Houston Livestock Show and Rodeo, thanks to a recent action by The Woodlands Township Board of Directors. 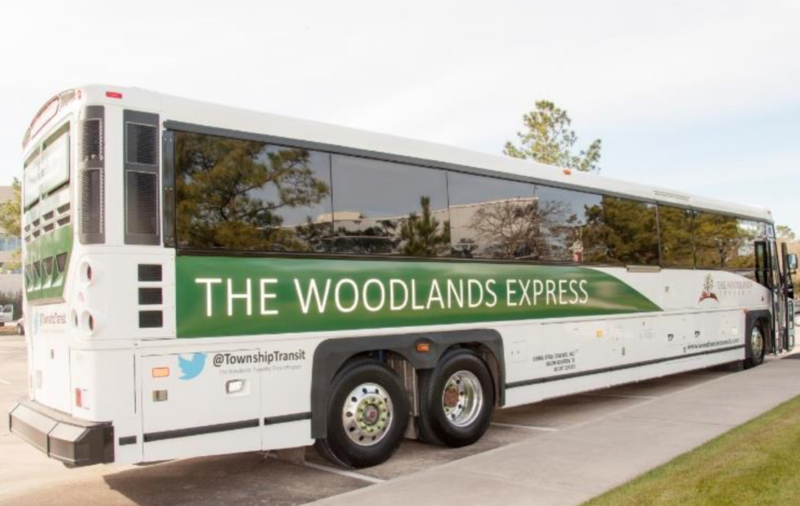 "We're pleased to debut The Woodlands Express Rodeo Service on key weekends for our residents and visitors," said Gordy Bunch, Township Chairman of the Board. "We've heard from many of our residents about an express service, and we're giving it a try this year. It sure takes the hassle out of driving and finding a parking spot, and feels a lot safer, too." The Woodlands Express, the Township's Park and Ride transportation service to Houston, will be heading to NRG Stadium on weekends during the rodeo, offering riders an opportunity to enjoy all the festivities without driving and parking concerns. Service will be provided three weekends during the rodeo: March 2 and 3, March 9 and 10, and March 16 and 17, 2019. I agree...there is a need for better transport to Houston, especially for people who work there,it takes the stress off driving, also would be nice for people who want to go to the galleria..if this is successful it could be the beginning of a better service for all. Good to know..though Rodeo is not my thing,the silver and Indian jewelry is lol! It's a great idea I hope it's successful . Hopefully, there will be a good response and they will continue programs such as this. We are not big into the rodeo but it certainly would be nice to use this for special events! If I was going this would be my only to travel!